My young grandchildren love to carry around wallets, even if they’re using strips of paper for “dollars”! The problem is that you only have so many “old” wallets because you’ve bought a new one, and I have quadruplet 3 1/2 year old grandbabies and their big brother, who is now 5 years old. 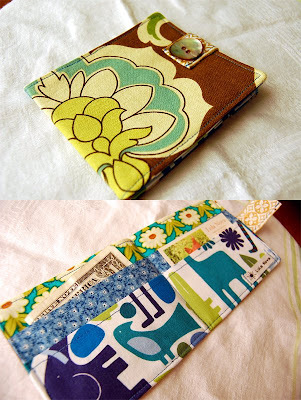 Well, when I found this fabric wallet tutorial by Lola Nova on her blog, I was absolutely thrilled. I have tons of scraps, and with this tutorial I’ve made fabric wallets in the childrens’ favorite colors, and now I’m the “bestest” Mamaw ever!! There are even little pockets for small cardboard “credit cards”, and the paper “dollars” — These are great! Thank you Lola for the great tutorial and the super idea. This is one of those “why didn’t I think of this” things, but I’m so happy that YOU thought of it! How To Make Boo Boos Feel Better!